These little girlies have been working super hard these days. These super duper jumbo eggs were all layed within a few days of each other. Now, you can’t really tell how big they are here. So I’ll help you. 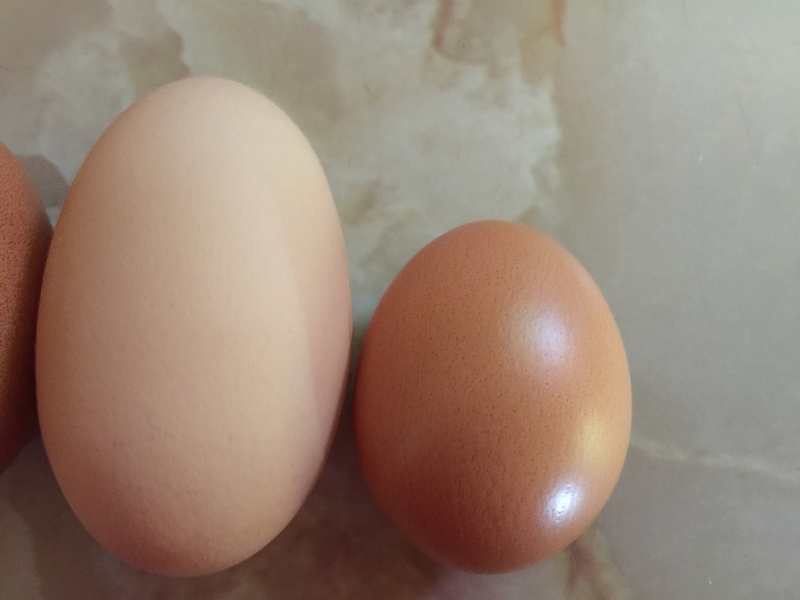 The one on the right is a normal egg–the kind we get every day. 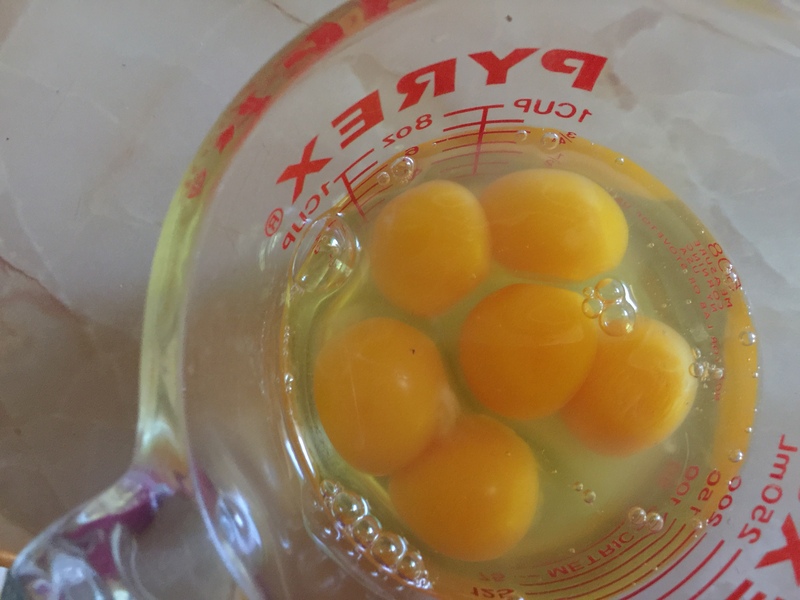 Soooo…the regular 3 egg omelet becomes a family event! I have no idea who’s eggs they were, but they all seem to be walking just fine. We’ve gotten two of those and I am amazed at how big they are! You almost can’t wrap your hand around them. It’s so fun!! 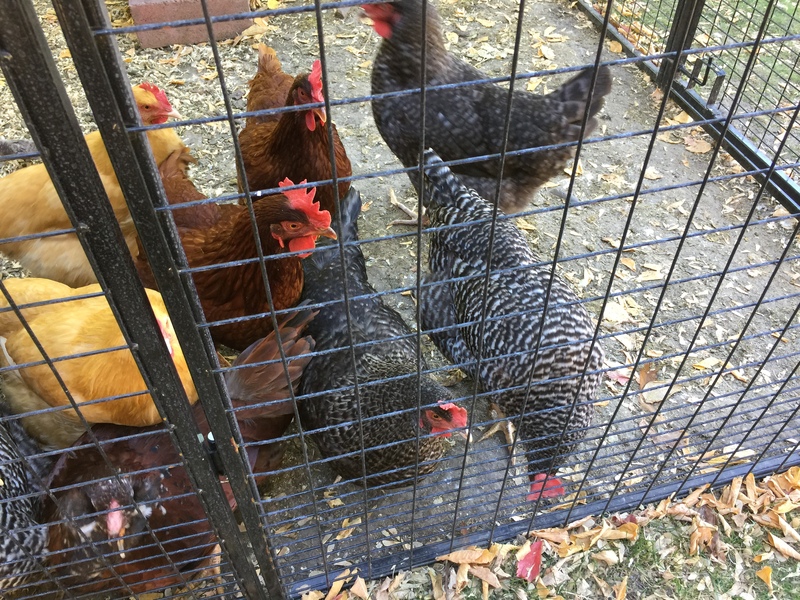 Can you tell me what kind of chickens you have? Who lays the dark brown eggs? 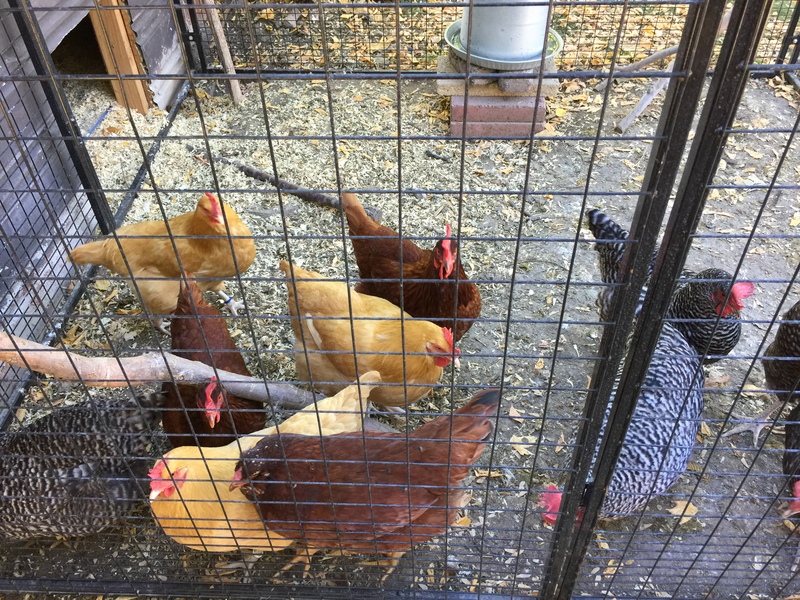 I love all the things I never would have thought about with these chickens until you experience them. We love it!